Without removing shock dampers or interior parts, it’s quite hard for users to access the adjustment knobs after the shocks are installed on the car. To minimum inconvenience in the event of damping adjustment, we have developed the REMOTE ADJUSTER CABLES for some certain models listed below. They can be simply mounted on the tops of the rear dampers, and the damping setting can be easily adjusted without shock dampers or interior parts removal. 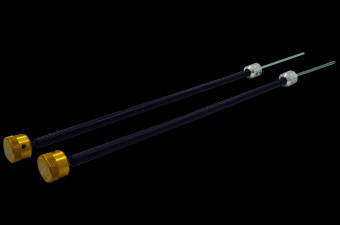 The following suspension kits will come with 1 pair (2pcs) of REMOTE ADJUSTER CABLES. Model Body Style Year Note Part No.